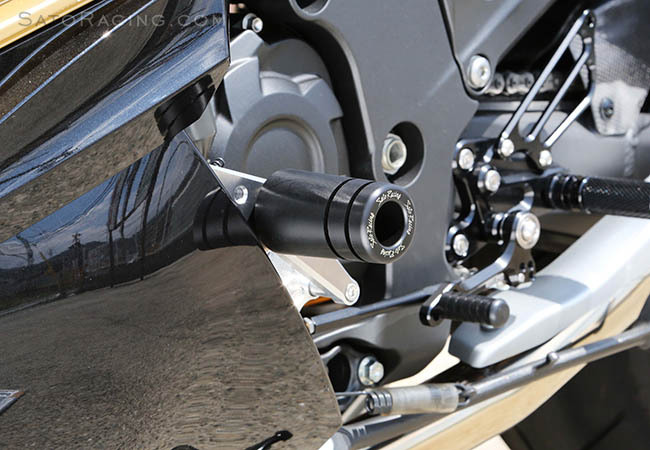 [R]-side Engine Slider shown with SATO Oil Filler Cap (HEX-style) (part#K-OFCAP-HB). 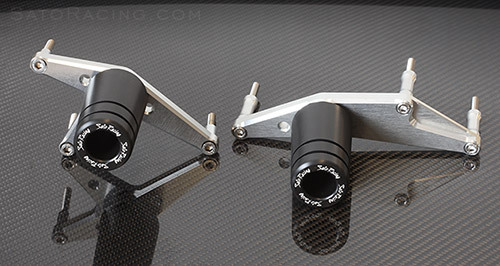 slider plate will need to be loosened to remove the oil cap. 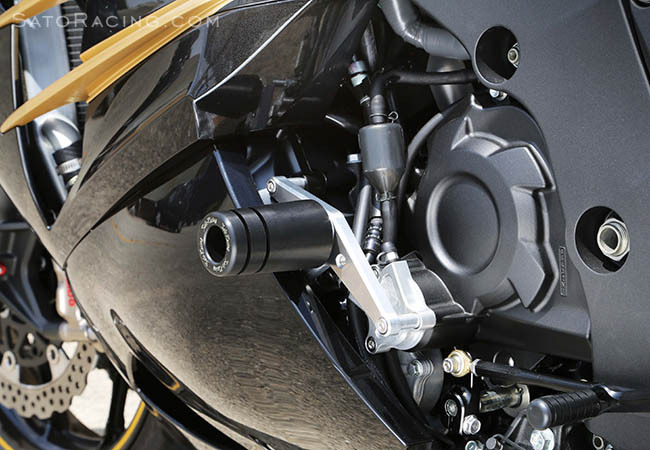 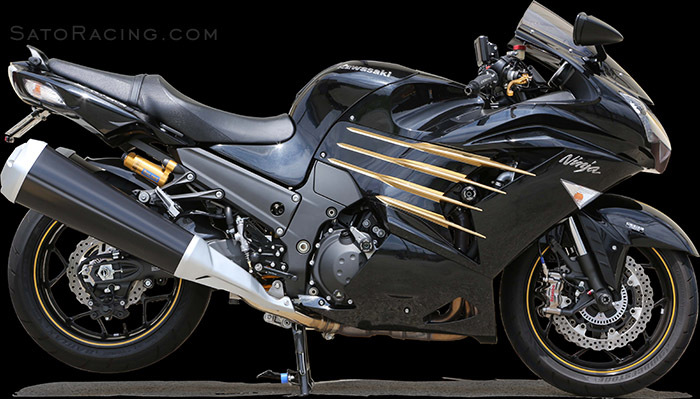 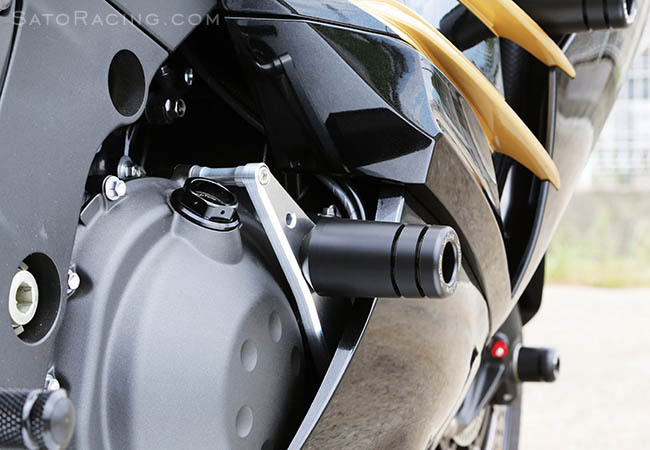 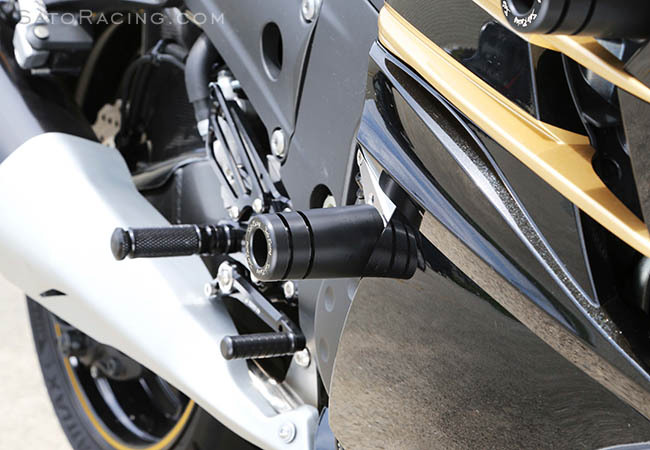 No fairing modifications required with our ZX-14R Engine Sliders.